I just visited the M&S garage on Tilehurst Road in Reading, and saw an offer for 2 packs of Mentos for 90p. I took them to the counter but was told that the offer did not apply to them. 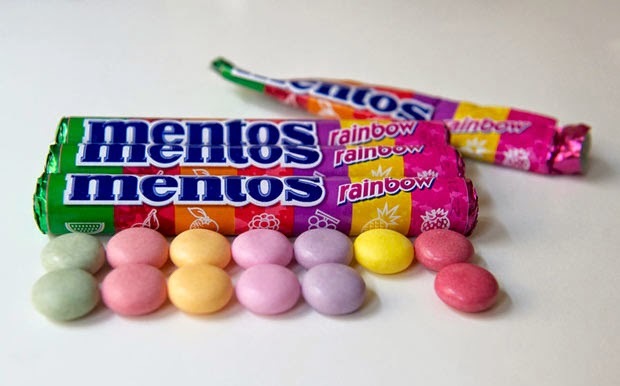 We had a discussion for a while, I insisted that it said ‘Mentos – All varieties 2 for 90p’. However after calling a manager over, he pointed out that it only applied to packs weighing 38g, and the ones I wanted (Rainbow Mentos) weighed 37.5g. Seriously this is ridiculous, the product apparently wasn’t included in the offer as it was half a gram less. This is clearly a case of deceitful promoting, and I expect far better from Marks & Spencer. That is the kind of thing I would expect at Tesco, not supposedly a premium store. If I do not receive a full apology for the embarrassment caused with suitable compensation, I shall write to the Office of Fair Trading and suggest that they investigate. Thank you for taking the time to contact us about the offer you saw in our store in the BP garage in Reading. I’m sorry to hear you were unable to get the mentos you had wanted within the offer. I understand your frustration as the offer may have seemed to have included the mentos you had been looking to buy. In the terms and conditions it states the weight of the packs included; meaning they are separate products. Promotions and offer such as this are often ran and in situations such as this, the offer only applies to specific size of package. Of course, I can see why it would be frustrating but our till system would not allow what is essentially a different product to be included in the offer. I have forwarded your comments on to our Promotions and Marketing to ensure such offers are as clear as possible for our customers. As you’ve been disappointed, on this occasion I would like to send a gift card to you as an apology for the disappointment this caused you. In order for me to do this, please provide your postal address via the ‘Contact us’ link on our website. Once you’ve done this, please allow between 5-7 days for this to arrive at the given address. Thanks again for getting in touch and I look forward to hearing from you again soon. Get in! I’m getting something for one of my complaints. I think it had more bite to it than previous complaints. Not only that, I had a response within 24 hours, which compares to Gregg’s’ 2 weeks, and Waitrose who still haven’t bothered to elicit a response. I also thought as I am getting a gift, I should offer you a gift (it was one of the images Google offered for “marks spencer mentos deal”).